Leaving the door room of college days and comfort place and getting into a place where the scenario is somewhat of two cut edge sword area is pretty very tough to handle sometimes, if that candidate is not sure about that job. How to Land an Entry-Level Position? The people who are searching job for the first time needs to always do a background check. Candidates who are applying for the job have to do some research about the job. After knowing the background of the company a candidate has a perfect knowledge about what is the expectation of the job. The candidate will know perfectly what is needed and what is not needed. For example if the company is in finance then having an background of architecture will be of no use therefore one should be sure of the standards and requirements of the company. It often happens with the newbie, when they start their career and get rejected initially they easily get discouraged of not getting desired job what they hoped for. When they realize that it is tougher than what they had realized then they take any job offer that comes their way even though if it is the worse job in the world. The newbie will be taken advantage if they don’t keep options and just accept the offer without checking out other opportunities. Try searching biography about the people who have had successful stories and careers because they are an inspiration for newbie’s. There are many online sites coming on which offers the employer to employ job and opportunities for the experience, freshers, learned people. These sites actually help in building up the contacts of the recruiters and interested employers. 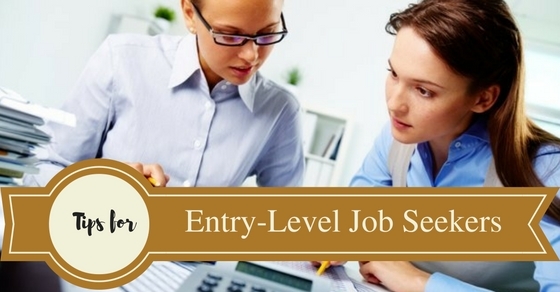 By logging in such online sites shows the requirement of the company and mainly it shows the minimum requirement that a candidate has to acquire to get the job. These sites are free of charges but there are extra features included in online recruiters sites such as naukri.com, linkedIn, shine.com etc which charge some fee but it is totally worth it to find the perfect desired job. In this era social media presence is very important because if any employer is interested in you they will first search that person’s online presence and gather information. Therefore to make the online presence higher a person should think of creating a blog or website which helps in letting know about you indepth, thus it helps you and also the employer to know about each other where it wont be difficult interview instead an easy interview without stress free. Some newbie may try to find out the easy way instead of the hard way but short cuts will never give a full satisfaction. The candidate should find job which is full time instead of part time job but if the person is acquiring studies then part time is exceptional but someone who has a free time should go for a full time job because one day it’s going to payoff fully. Person who has a experience of being a full time employee will be more preferred instead of person who has worked for a part time job who will not have much knowledge and experience compared to full time employee. One should dedicate himself/herself for searching that particular will be appropriate and the right job for that candidate. Searching job is like throwing a fish net and catching the right job and for that one has to be alert about every move. The candidate should look up every time if the employer has put some new recruitment for their company. Being online most of the time usually gets the job and knows perfectly the scenario of the market and gains a lot of knowledge about the requirements of the company and trains itself to be able to complete all the priorities. The compact letter is always appreciated and the candidate has a lot of chances of getting a lot of options from everyone for the job. A lengthy resume will be neglected because the employer itself won’t have so much time to read everything thus a compact letter will be much appreciated and that candidate will get a lot of opportunities from many employers and thus creating a lot of options. The resume should be perfect and should not have any flaws because that is the first thing that leaves an impression on the recruiters and the employer. During the interview the employer looks up for the personality the candidate carries and if the personality is not up to the expectation that candidate will be rejected there itself. A smart personality will always be a character to look up to but a very dull character will even demotivate the others who are around him/her. Therefore one should join some personality development classes and also do some courses to specialize their skills so that it fits the job requirement perfectly. The person should always take this as a learning experience. If one gets rejected there must be a reason to get rejected, therefore one should find it out by themselves, work on it and acquire the skills which are needed and again go for a job hunt. One will never understand it until faced with such situation. If the candidate will be given a job easily then the whole system will be turned upside down by not knowing the seriousness and not have that passion to complete the task. The candidate should have self confidence because without it a person can never achieve what he desires for. In this generation one has to fight for what they want and while searching there a lot of other candidate which want that position therefore it is a race and also a fight to raise to the top. It is not a easy job to do without self believe therefore one should have self confidence by believing in one self and then a tough task can be a easy task which has to be completed. Self confidence is a booster for a candidate to reach the sky. Everyone has knowledge about something or the other but the person who has the perfect knowledge which is needed for the position will always get the chance. Therefore sharpening up the skills are done by attending the seminars, guest lecture, courses, inspirational videos may a person to improve the overall skill a person needs. To be at the top the candidate should have a up to date knowledge about everything because if the employer comes up with anything about the new trend in the economy then the candidate shouldn’t be left confused. The candidate over exaggerates when he /she is not prepared for the job. Then if the candidate wants the job so desperately so that there might be a chance of faking the skills and knowledge so that the employee gets impressed and gives the job opportunity but that is not at all the way of acquiring the job. Later it might be very difficult to understand the things which is not familiar and lied about. It will be such a situation that the candidate will be fired from the job or will be asked to resign. Everyone loves a gentlemen especially the lady and that might get you a job somehow but it happens rarely in some cases. Carrying that personality of being polite, kind, respectful, caring character will impress the recruiter and will keep you on the first list of getting chosen by the employer for the higher position. A perfect personality will always lay a perfect impression so make sure that the gentlemen character should be left inside alive so that the people will love to have you around. Before applying for a job one should see whether that job will fit you rightly or more skills and experience is needed for that job. If the job profile perfectly fits you then no worries but before applying one should read all about the company history, terms and conditions, documents required and etc. It will be a very awkward and embarrassing situation if the candidate leaves a important document at home. Therefore one should be very careful about all the requirements and that should be duly filled. If your colleagues have already a job then it is better to keep such friends closure because they will be having lot depth knowledge about this and also they will be having the recruiter contact number. Why not keep contacts which will help greatly in such matters. Keeping contacts will not only provide the recruiters details but also the market scenario which is going on. Friends may sometimes have good references instead of the recruiters therefore it is better to have friends with better contacts. Practice makes a man perfect therefore the candidate should practice about the interview because many studies have shown that person who practices front of the mirror may try to perfect the moves and also acquire higher chances of getting selected for the job. Practice will be a tedious duty but in the end it will payoff and it won’t be a situation where one has to struggle entire life to search the job. It is better to keep the bar raised always higher so that the career can be lifting off smoothly and higher. Internship is a latest hack of getting the perfect job. Getting an internship in a higher reputed company will give a higher chance of getting a desired job and not leaving or sacrificing on anything. Internship is more of learning process instead of fulfilling a duty. Internship is actually acted as course where a person learns to do day to day activities of the office, therefore it is more of a learning process than a working experience. Starting a venture by being a freelancer is a very good idea because then that person starts being independent and starts taking responsibility for his own mistakes and not blame anyone. This actually promotes being independent and taking wise business choice. Actually a person becomes business minded when they join as a freelancer. Once they have gained all the confidence and the skill, then it will be a great thing to show on the resume and also have official business contacts to keep such people in the loop, so that in future one can come with his own business. Searching may not be easy but learning different kind of techniques to get the perfect job are available as an option. As the world is getting modernized the recruitment selection techniques are also getting quiet difficult. Before qualification was the only priority but now skills, personality, body language and other factors are needed for job profiling. Therefore one should learn different techniques and skills to get higher chance of getting job opportunities. Never give up on the first try instead rise up once again and practice the law of gaining all the knowledge to acquire the desired job.